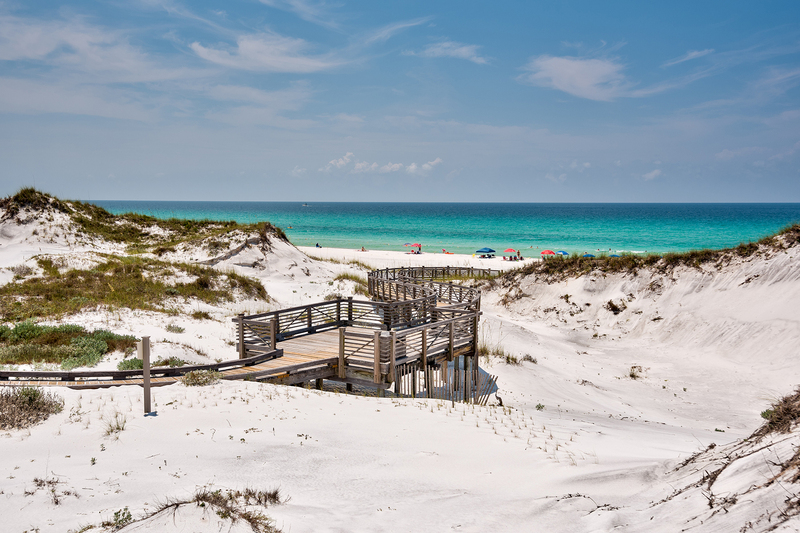 WaterSound Beach Real Estate A paradise of seclusion & serenity. 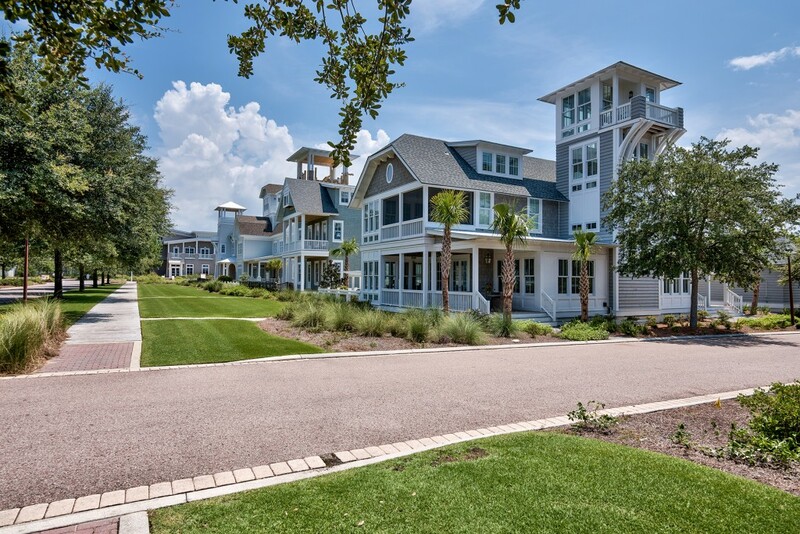 WaterSound is a trio of New Urbanist residential enclaves composed of Origins at WaterSound, Watersound West Beach and the flagship– WaterSound Beach. 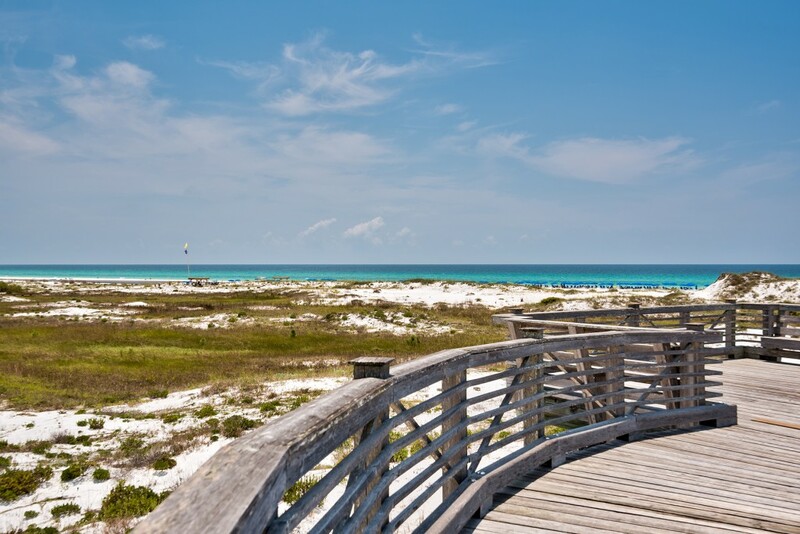 WaterSound real estate consists of a variety of single-family homes, home sites and condominiums within a charming master-planned coastal community. 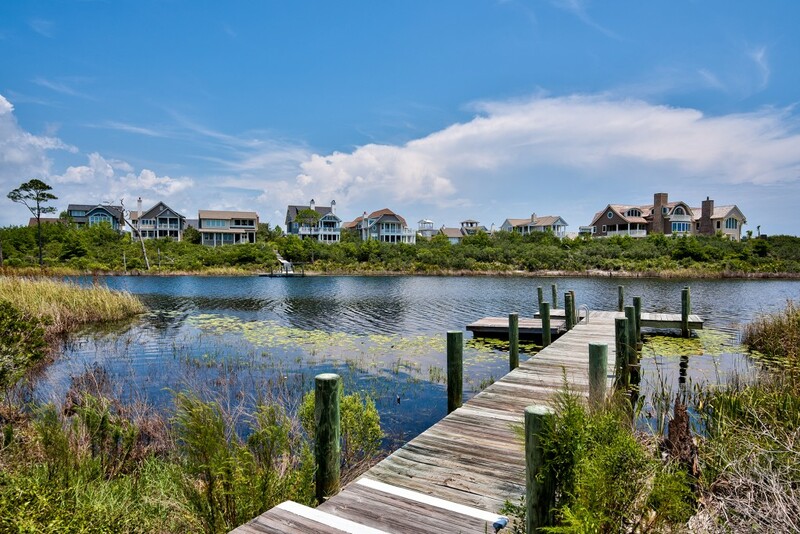 Premium WaterSound homes for sale are listed in the comprehensive portfolio of properties by Scenic Sotheby’s International Realty. 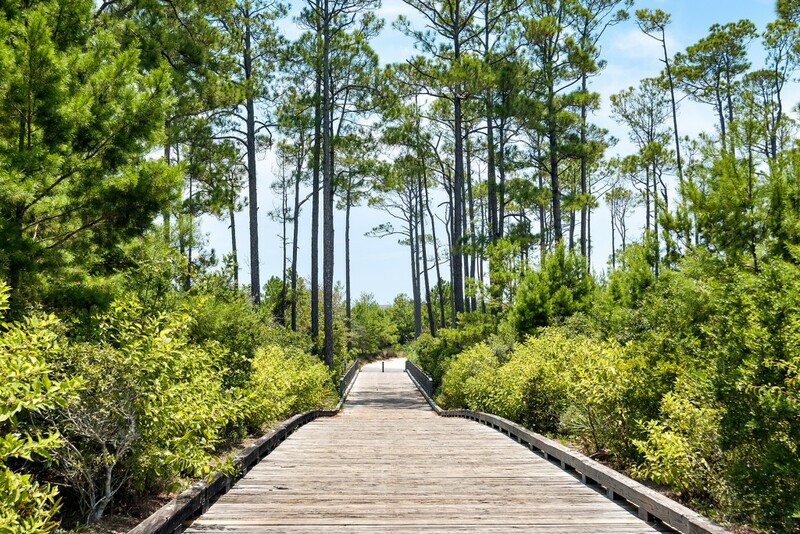 They showcase a selection of unique single-family homes in WaterSound Beach along with slightly smaller, more affordable options in Origins at WaterSound and WaterSound West Beach. 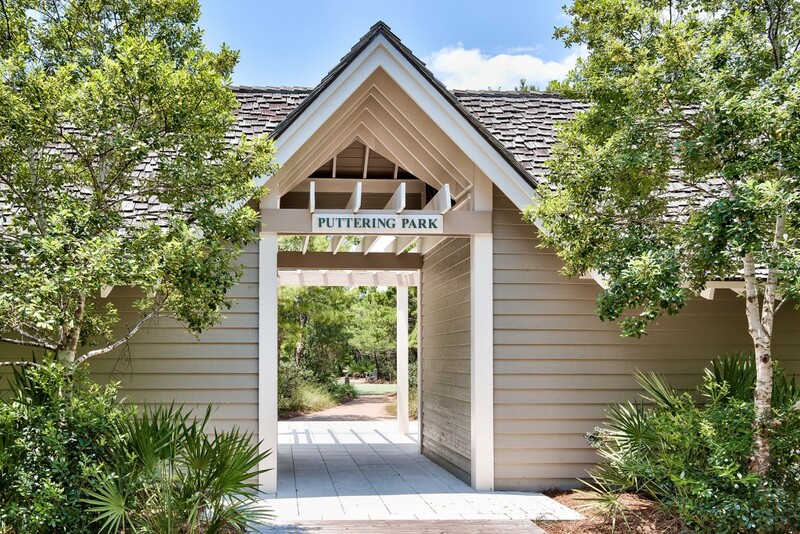 Whether you prefer a beachfront home, a townhouse or a multi-family residence, each luxury home at WaterSound Florida offers an exceptional lifestyle, with the exclusive opportunity to become a member of the WaterSound Beach Club and the highly acclaimed Camp Creek Golf Club. 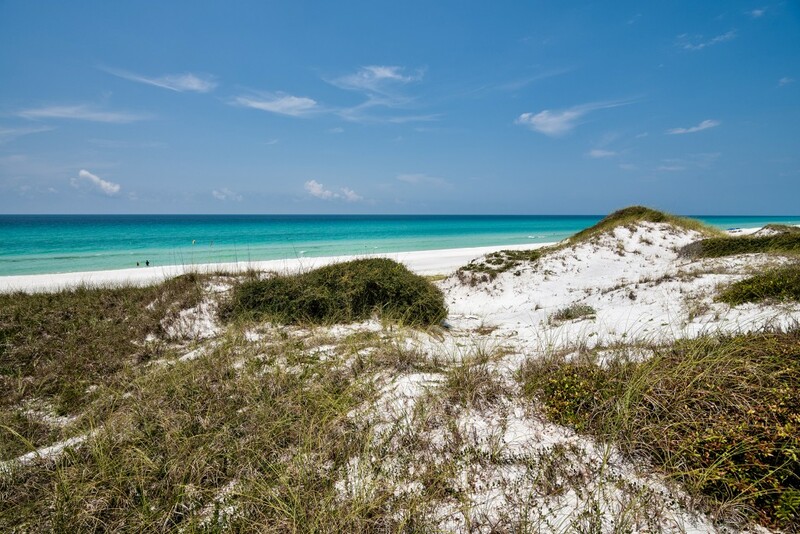 Located on Scenic Highway 30A between Seagrove Beach and Alys Beach, WaterSound is noted for its New Urbanist master-planned design. 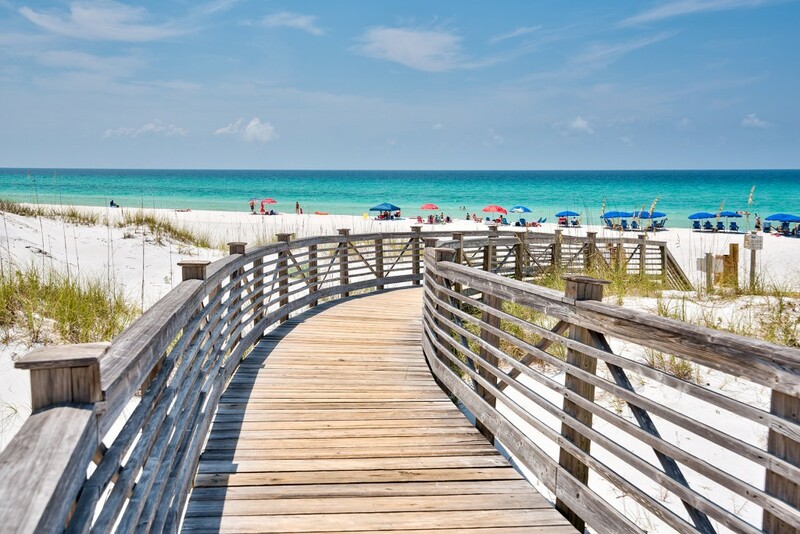 Like its neighbors, this peaceful seaside village emphasizes a community lifestyle with amenities that can easily be reached on foot or bicycle from your WaterSound home. 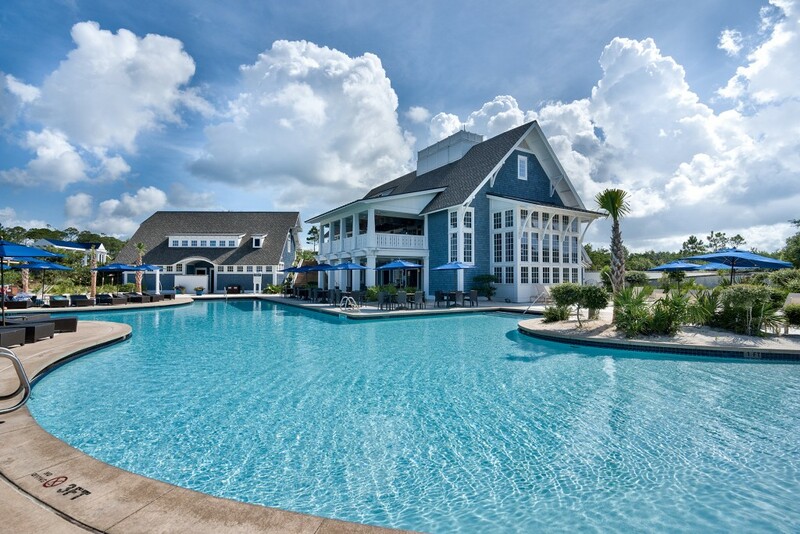 Offering a relaxed outdoor lifestyle just 21 miles from Northwest Florida Beaches International Airport, WaterSound creates a harmonious balance between business and leisure, with access to three top golf clubs in the locality. 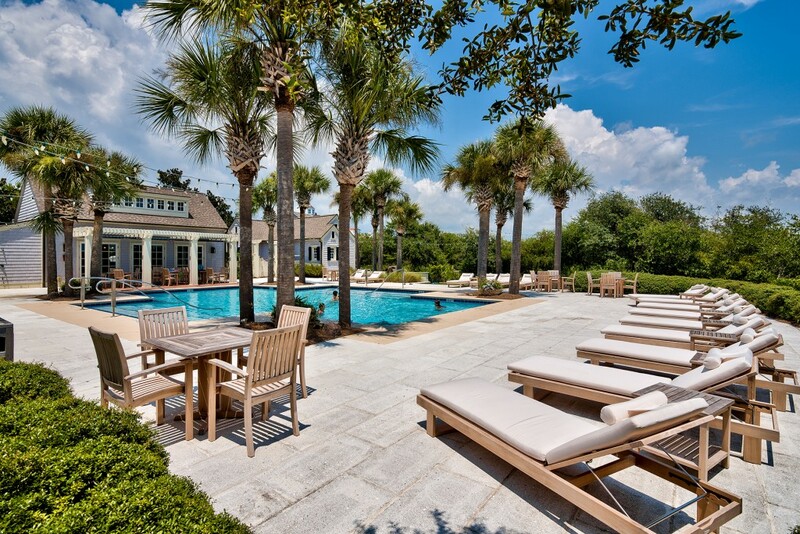 Designed by Robert A.M. Stern, WaterSound real estate sympathetically reflects its natural surroundings. Taking on the architectural style of more established coastal fishing villages, such as Cape Cod, Nantucket and Martha’s Vineyard, the buildings feature weathered shingles, shell-encrusted stone and seasoned cedar shakes. Porthole windows and widow’s walks give a nod to the rich maritime history of this scenic coastal area. The manned security entrance gives reassuring peace of mind, operating from the impressive arched Gate House, which is a landmark on 30A. 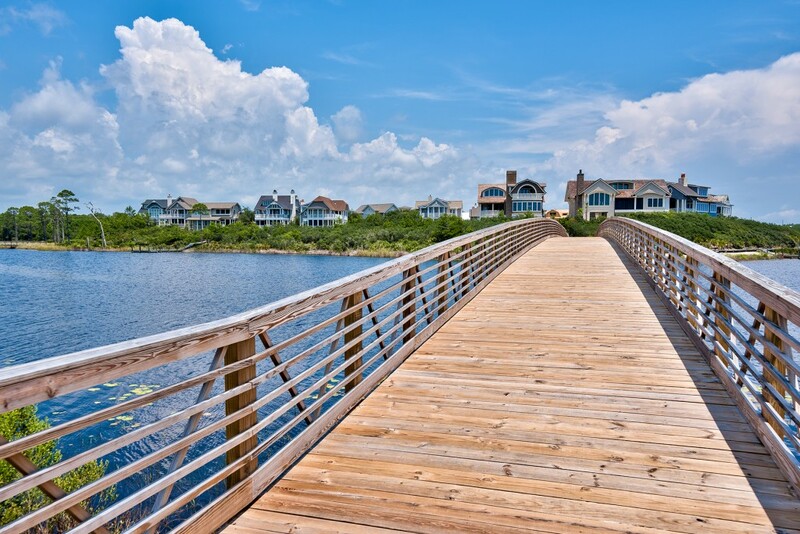 Winding boardwalks and pedestrian bridges connect individual WaterSound homes with the beach, dunes, community pools and restaurants at The Hub. 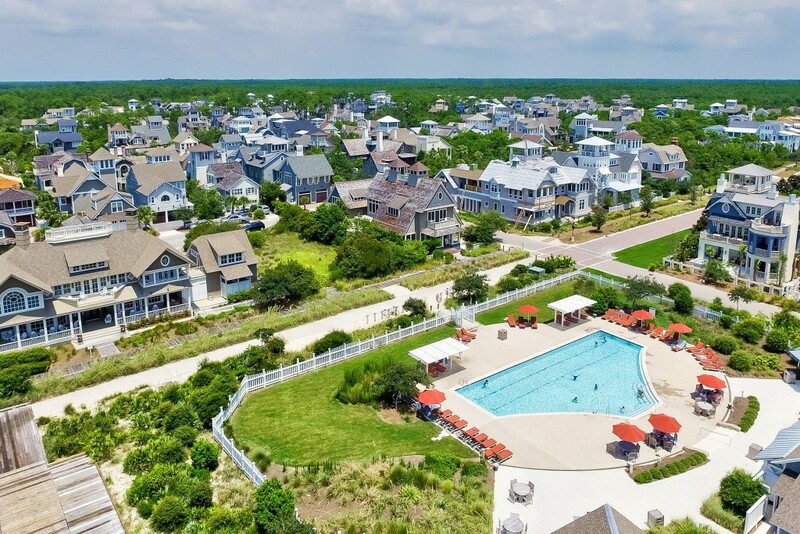 In addition to the standard amenities, WaterSound homeowners can choose optional membership to the WaterSound Beach Club with its 7,000 square-foot pool, one of the largest on the area. 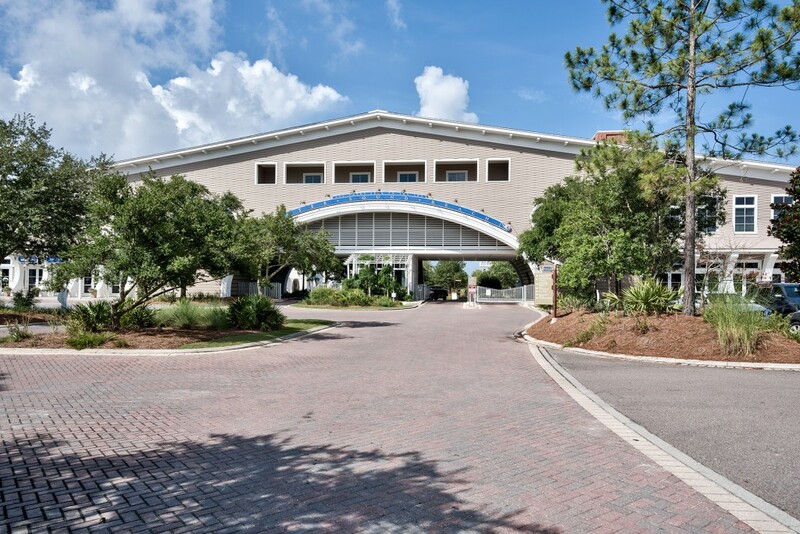 The club includes an upscale members’ dining room, bar and outdoor dining terrace with coastal views. 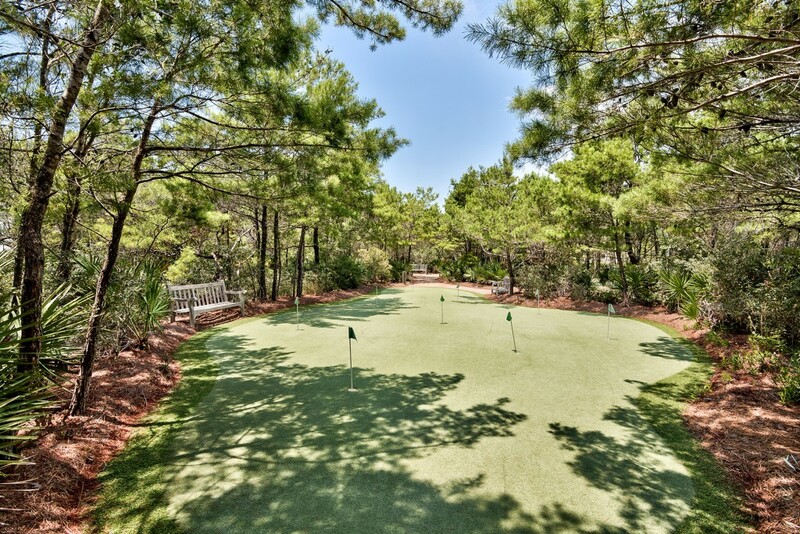 The Tom Fazio-designed Camp Creek Golf Club adjoins the WaterSound property, offering a challenging 7,151-yard, par-72 course for golfers on undulating coastal fairways.